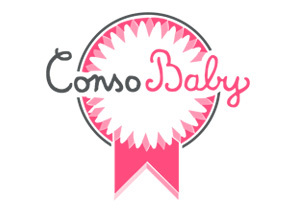 The ConsoBaby® Label is the first independent label awarded directly by parents to the best baby products. It is the only label of satisfaction assigned by parents to products for babies and children up to 4 years. The ConsoBaby® Label isn't bought, it is earned. All of the products featured on the ConsoBaby site can be evaluated by parent members, who review them and rate certain criteria which forms an overall rating of the product. Products that have received an overall rating of more than 4/5, with at least 10 reviews published by parents, are awarded the ConsoBaby® Label. Products that have received the best overall rating based on all reviews published from the 1st September to the 31st August receive the ConsoBaby® TOP Label. The Label can be used in communications about the concerned products if brands wish to do so. It is already used in the information materials of numerous brands, including Philips-AVENT, Tommee Tippee, Lansinoh, Pregnacare... If your products have been awarded the ConsoBaby® Label on the site, please contact us to obtain further information on using the Label.